Welcome to another Monday! I hope you had a fabulous weekend filled with all the stuff and people you love. 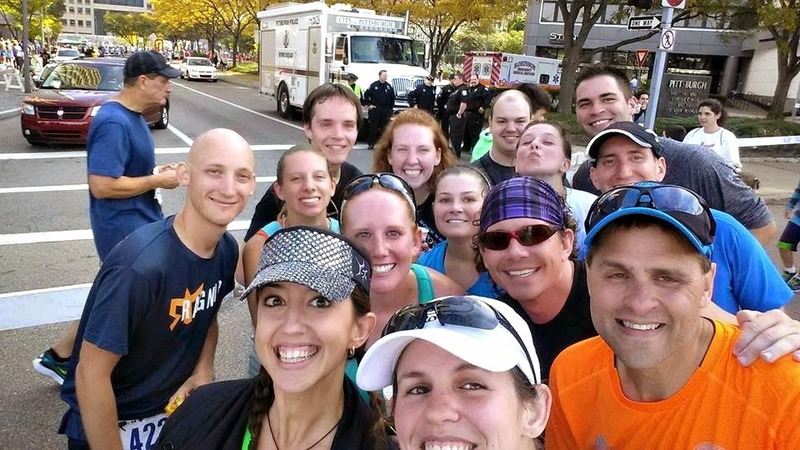 If you follow me on social media, you know I flooded your feed with tons of Akron Marathon and Great Race love with all my favorite running friends. I'll be blogging lots more about the whole experience this week but let me just say that I am so blessed to have friends that have become family. My Akron Marathon relay team and all our running friends in Pittsburgh really made this weekend incredible and unforgettable. Despite all the sadness and depression this injury has brought into my life, I was able to forget all about it this weekend and spend time with the most wonderful people. Thank you, friends. You are so beyond loved. Let's get right into some accountability! 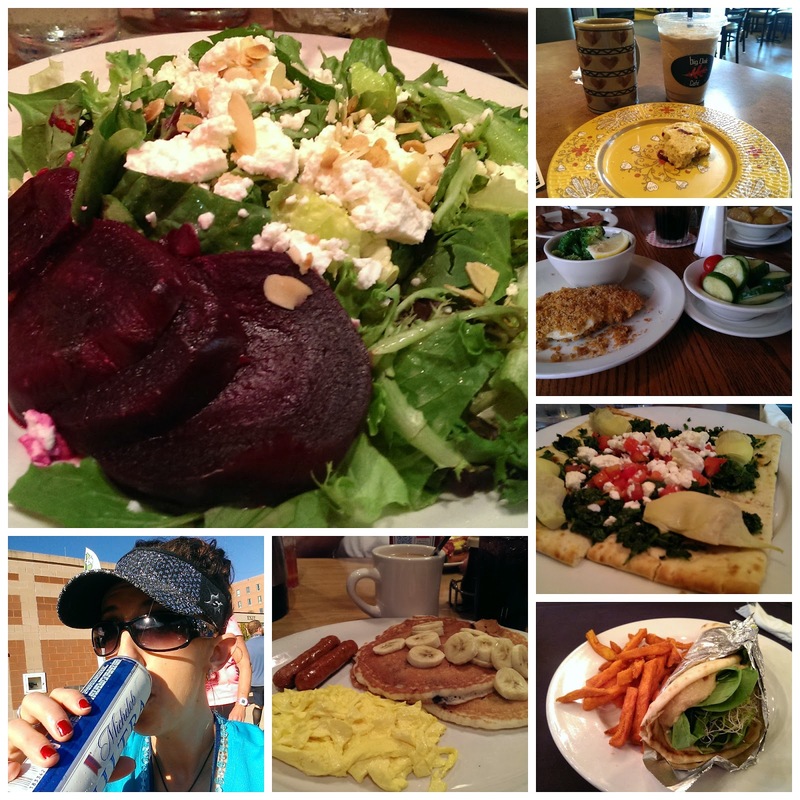 As we were out of town three days (and I've been wallowing a little in sad feelings), it was hard to stay on track with my eating while going to restaurants for each meal of the day. Luckily, the Weight Watchers app is loaded with good suggestions on low point alternatives at a variety of restaurants. Every time we went out, I tried to pick the most nutritious and low-point option available. I think it worked pretty well. I cut into some of my weekly allowance points but there is still a good amount of them left. We'll see what the scale says on Wednesday when I weigh-in but overall, I'm proud of not eating my feelings this week and tracking every bite I took. Beets and goat cheese might be my favorite combination OF ALL TIME. 152.6 as of 9/24/14 weigh-in. -49 since heaviest; 202 in 2005. I LOST A POUND WITHOUT ANY ACTIVITY!!!!!! QOTD: What was the biggest challenge you faced this week? How did you overcome it? Great week Sarah! So glad you were able to make the most of your injury and enjoy cheering all of your friends on during their races. I'm sure they appreciated it more than you know.